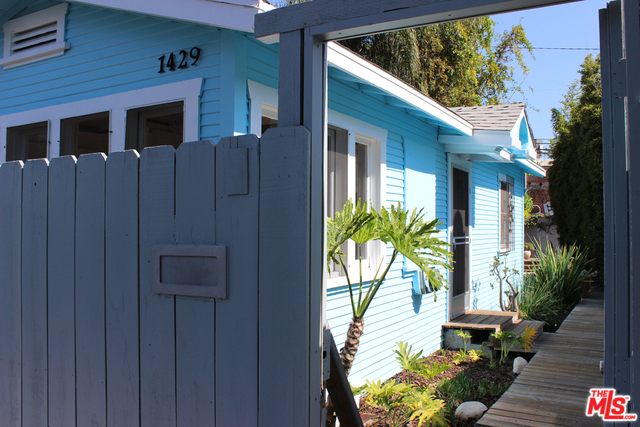 Home » Listings » 1429 Cabrillo Ave.
Charming 1 bedroom 1 bath California bungalow with architectural details built in 1928 adjacent to Abbot Kinney Blvd. (right around the corner!). Abundance of windows for light and ocean breezes. Spacious landscaped backyard and one car on-site parking with automatic door opener. Rear structure with built-ins for an office or writer's hideaway constructed without permit. Property has been identified by SurveyLA as a contributor to the Lost Venice Canals Historic District. Please see attached document for more information.